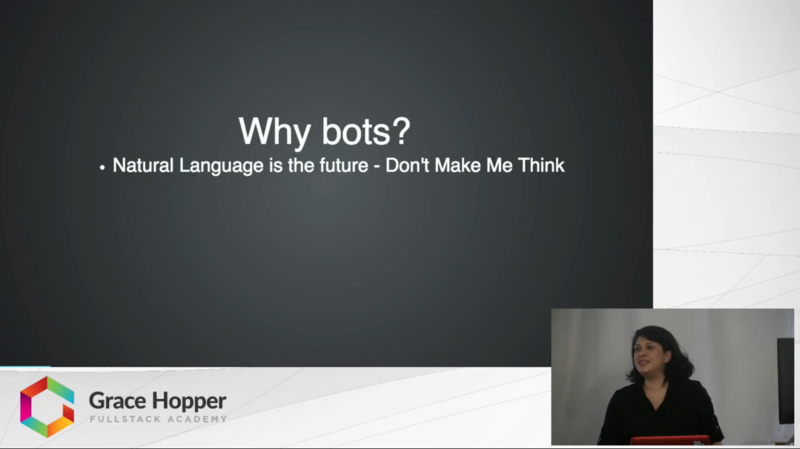 In this video, Luisa de Miranda discusses the importance of chatbots and chatbot building services of varying complexities. Luisa demonstrated how to build a Wit.ai chatbot. Chatbots are a great way to give a personal feeling to automatic interactions. You can add some simple AI to your User Interface. Natural language typing and voice interaction make complex technology and interaction easy and accessible to even the least tech-savvy user.